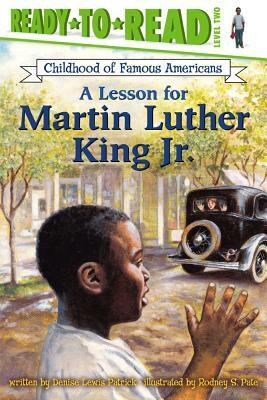 Learn all about the childhood of America's most famous civil rights activist in this nonfiction Level 2 Ready-to-Read! Young Martin Luther King Jr. is having some problems with his best friend, Bobby. First, they are going to different schools this year. Next, Bobby's dad is not letting his son play with Martin. When Martin learns why, he is confused and hurt--but he learns a lesson that he will never forget.